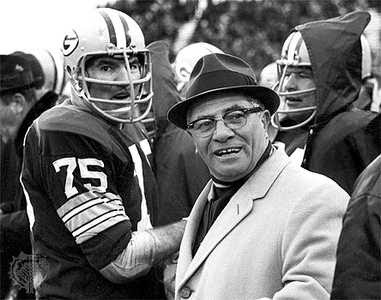 Vincent Thomas “Vince” Lombardi (June 11, 1913 – September 3, 1970) was an American football player, coach, and executive. He is best known as the head coach of the Green Bay Packers during the 1960s, where he led the team to three straight and five total National Football League championships in seven years, including winning the first two Super Bowls following the 1966 and 1967 NFL seasons. 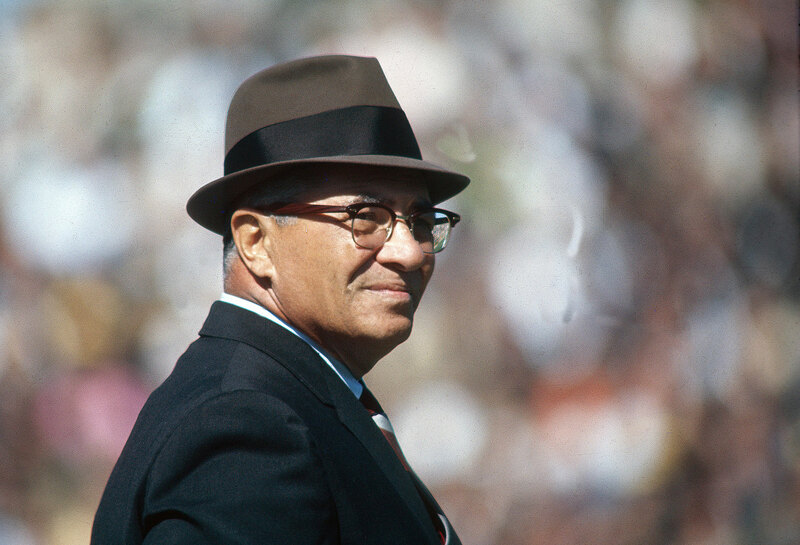 Lombardi is considered by many to be one of the best and most successful coaches in NFL history. The National Football League’s Super Bowl trophy is named in his honor. He was enshrined in the Pro Football Hall of Fame in 1971.